Kim Kardashian is getting slammed for doing something with her eldest daughter that honestly seems it would be so innocuous looking back. What is it? Well, she straightened five-year-old North West's hair. 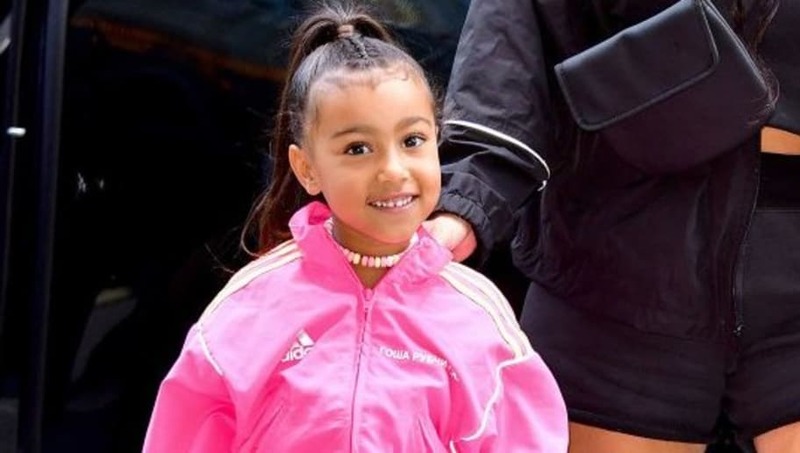 North's new hairstyle was ​spotted when Kim was taking ​her daughter around town, celebrating her birthday a little earlier with some ice cream and candy. The two were alongside Kanye West during parts of the weekend, after ​the trio saw Frozen on Broadway. Looks totally innocent to us! Honestly, this girl's really rocking the ponytail and straight hair! Hello, Ariana Grande? But, of course, critics took to social media to criticize Kim's decision in straightening her little girl's hair. Am I the only person fuuummin that North West has straight hair??? Some critics pointed out there's no need to straighten her hair because it's a new "era." Umm... okay? I think the point many critics came back to was worry over the heat damage done to North's hair as a result of getting it pin straight from her natural curls. However, of course, there's the defense that North's hair is fine and probably just done for her birthday. Maybe the child asked for it for her birthday. And it is, in fact, @KimKardashian’s daughter and her choice. Not sure why so much is being made of it. Even people who weren't Kardashian fans were firing back at the critics, pointing out that Kim's daughter could've wanted the look. Yep, there's a lot of defense coming from the non-fans, and some who do understand the want to change from curly to straight for an event. It's true that society nowadays does push women with naturally curly hair to be proud of their curls and wear them out more, but at this point, it could be that North had an opinion on her look and just wanted straight hair for her special day. She looks cute! You do you, girl!